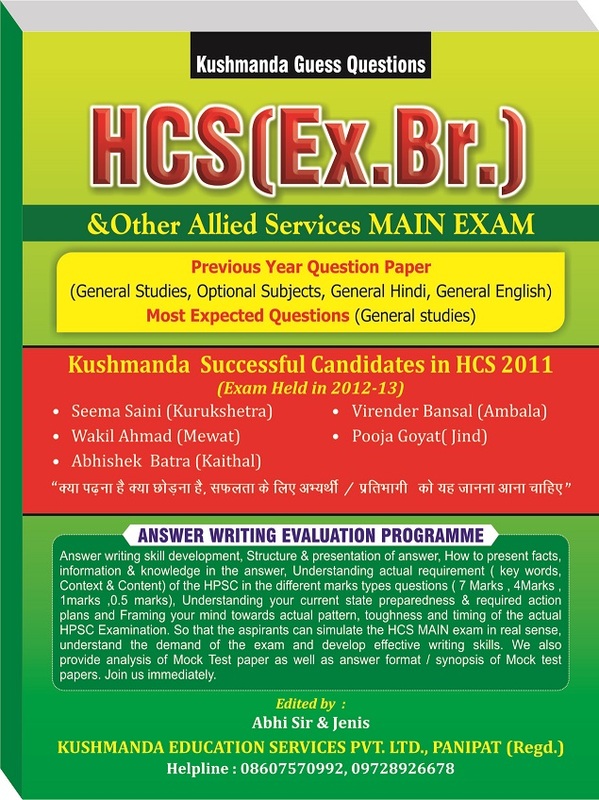 HCS Book for Main ExamÂ will be available from 10-9-2014, in Haryana/Delhi/Chandigarh. 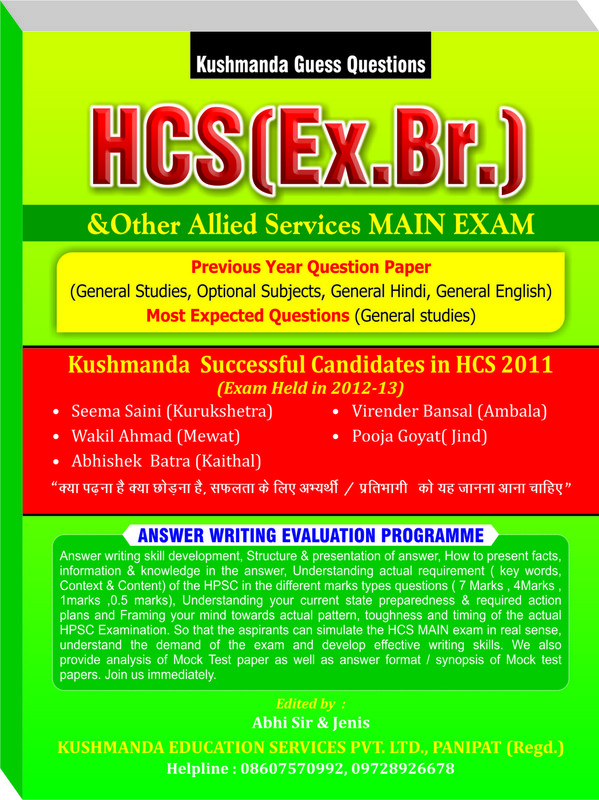 Kushmandaâ€™ Most expected & Probable 1200 questions (in questions â€“answers format) can be revised in 7-10 days only. In this examÂ â€œwhat to studyâ€Â andÂ â€œhow to studyâ€Â are the two importantÂ factors for success. To solve Exam Specific Questions(expectedÂ questions) gives you the proper knowledge about the exam pattern(theÂ best answers) as well as makes you sharpen in your speed. By thisÂ practise you will get great â€œpositive energyâ€ . We are ready to help/support you . Fee has to be paid- by Cash on Delivery or by DD/Cheque/Online payment for the full amount favoring KUSHMANDA EDUCATION SERVICES PVT LTD payable at PANIPAT .Trust, quality and reliability â€“ the bywords for KUSHMANDA EDUCATION SERVICES PVT LTD â€“ will remain our guiding force for â€“ both Preliminary as well as Main Exam. How to send request:Â Only one single call on our helpline number 08607570992,09728926678 or Students can download the respective application form. 12. Political Science & International Relations.